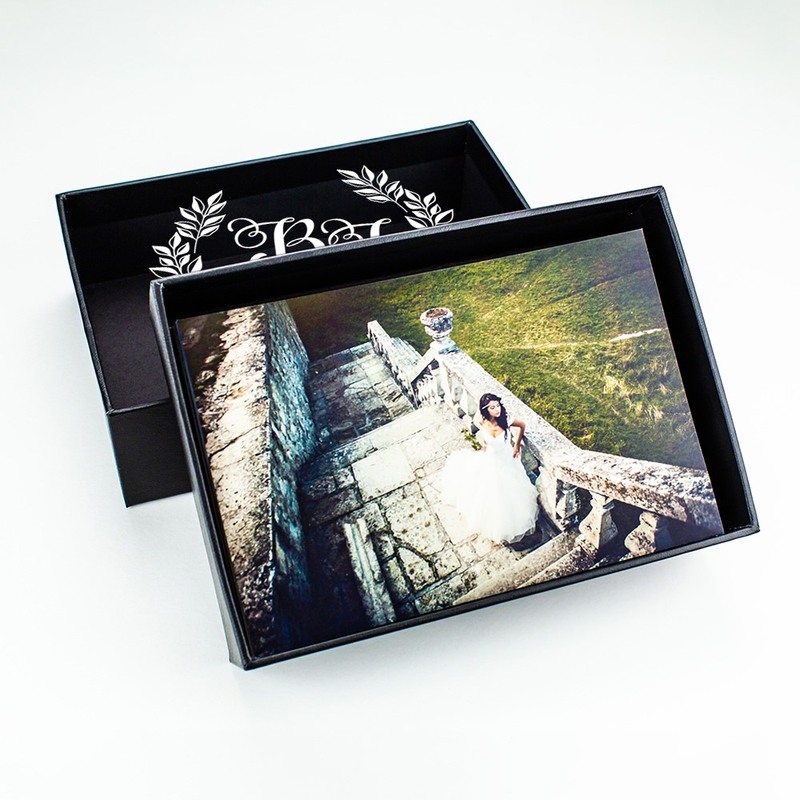 The point of photographs is that they’re timeless, just like this Timeless wedding photo box. 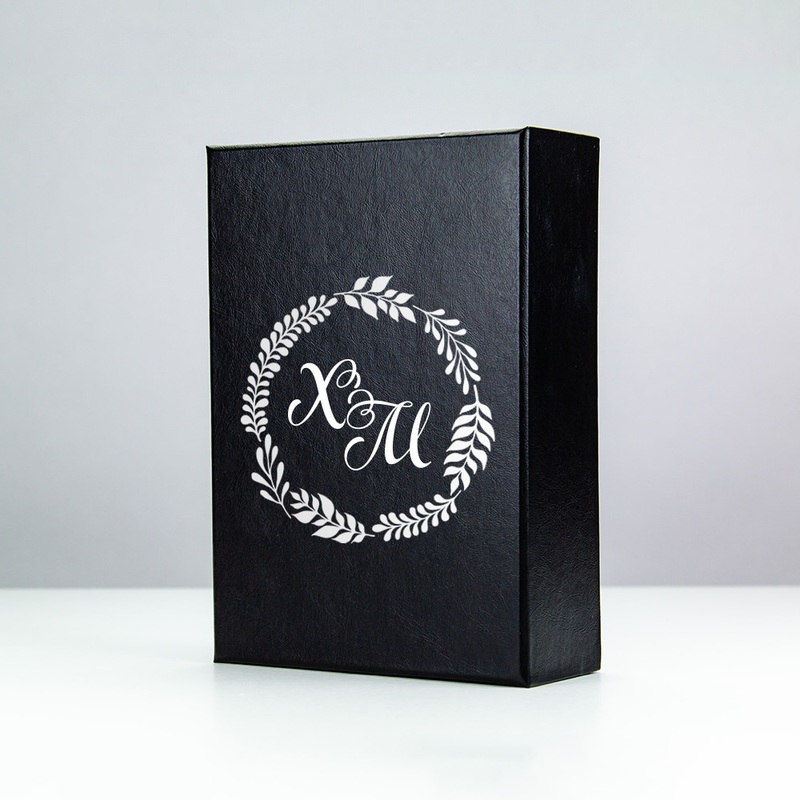 The Timeless offers aesthetically pleasing space to store and gift 4 x 6 photographs in a black leather paper wrapping. 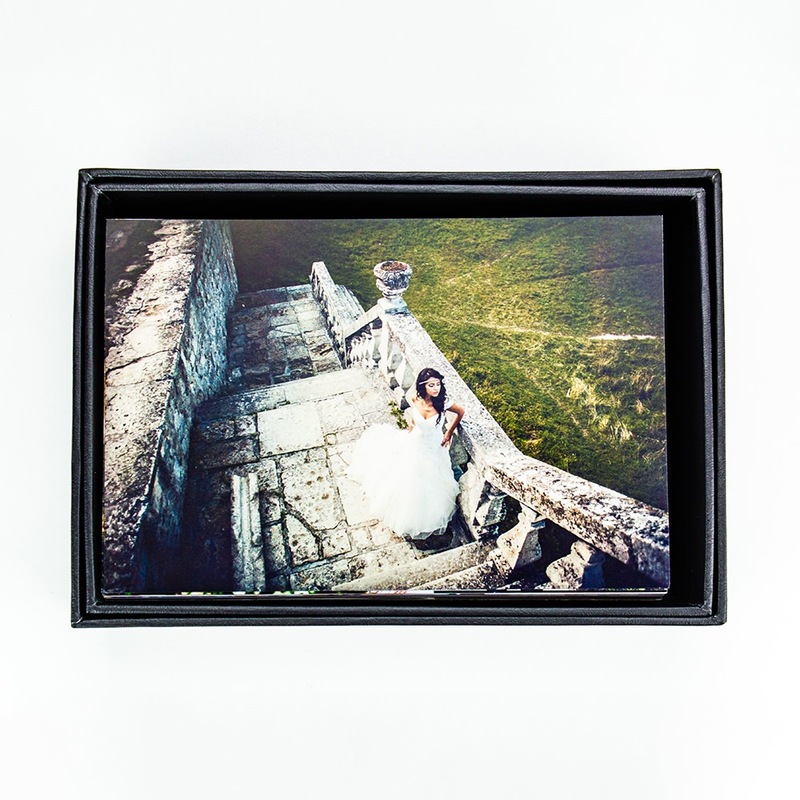 It can hold up to 175 photographs, making it an awesome value. The Timeless is an excellent option for photographers looking to gift their clients their photographs in a unique way. 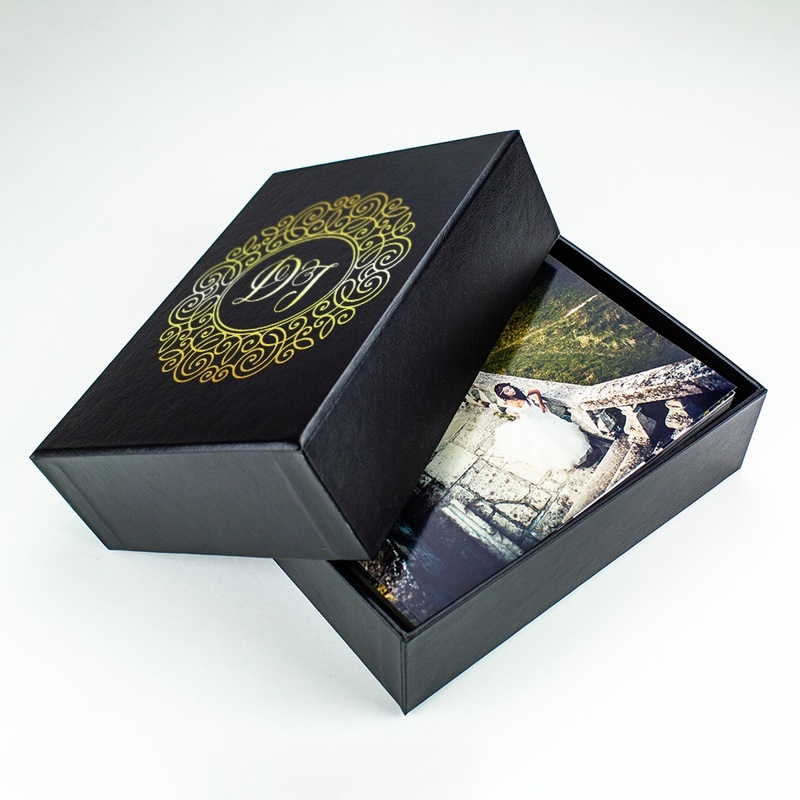 This box holds 4 x 6 photographs (up to 175 total) and is perfect for clients who can’t decide which photos to have printed. 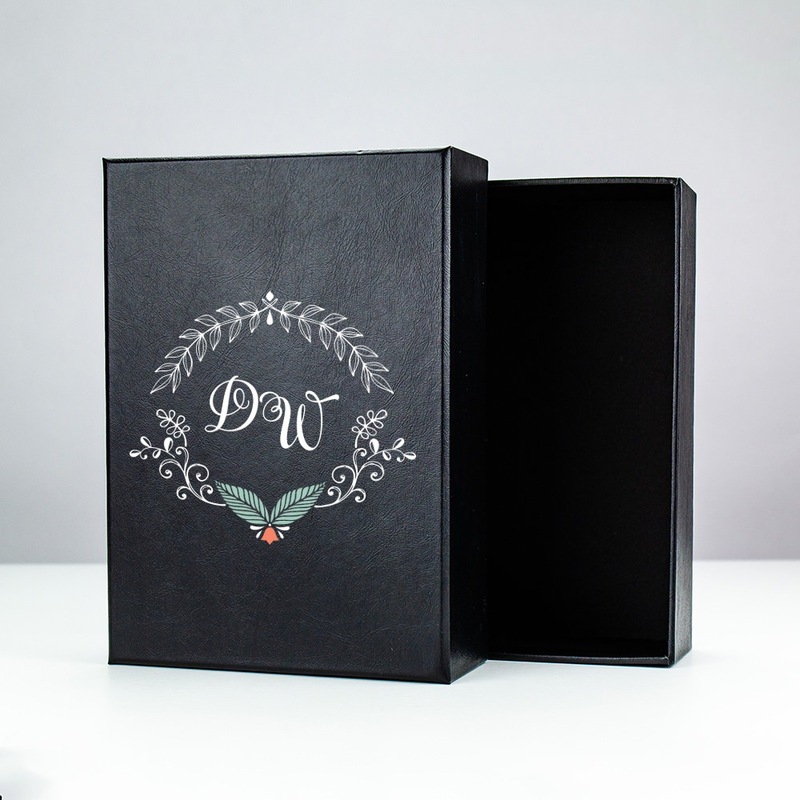 It is made of a fine black leather paper with matching interior and separated lid.